He loves his single fins, his twinny and even his thruster, but there is no denying it, his ability to longboard is incredible. His style is aggressive, functional and very progressive and in a breath can be precise, measured and classic. If you ever get the chance to see Tom surf be prepared to be blown away. His surfing is inspiring, exciting and world class. 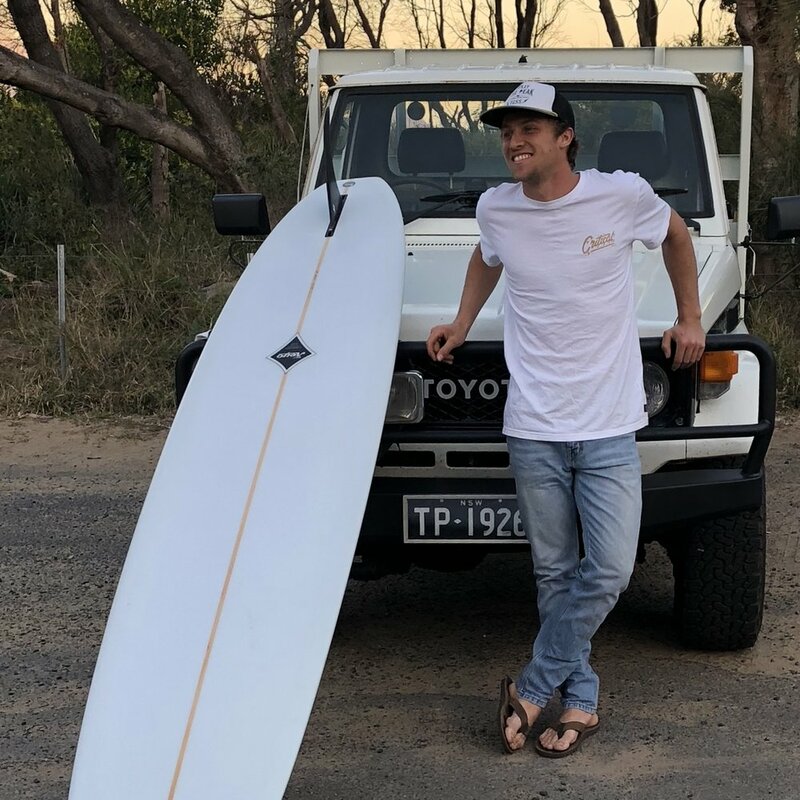 Tom has become a major contributor to some of Keyo’s board designs with the 'TP' and ‘TP-V’ a result of his constant quest of radical performance of late 60’s inspired surfing.